When we utilize cell phone on the consistent schedule for making calls, SMS and surfing web, it costs you a high price, if you don’t use a bundle as indicated by your need. But packages offered by network providers raises the difficulty for some people. They think that it’s hard to recall every single bundle name, its rates and what the package is offering. A complete package which contains both off-net, on-net calls, message and unlimited web surfing, is hard to find. So what should people do? Do they have to compromise on their needs? The answer is NO! It’s the responsibility of network providers to consider the needs of their customers and should introduce such offer through which customers can get the maximum advantage and can enjoy all services at lowest rates within a single package. 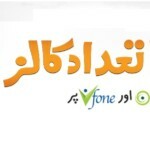 Ufone consistently deals with their clients and continue offering immeasurable offers and bundles. Ufone has presented smart card for their pre-paid users so they can enjoy calls, messages and web surfing through this single offer at moderate rates. Ufone begins a series of super cards that includes Super card plus, Super card and Mini Super card. Getting Super card is very simple. Ufone gives three distinctive approaches for your benefit to purchase the card. You can buy this card through ULoad. By using Ufone app, you can purchase the super card. Just go under Bill Payment option in the app. The last option is to go to your nearest retailer shop or any Ufone franchise to get your card. What the card is offering?? We get worried if any package is providing only on-net minutes. What about our off-net friends and relatives?? To finish your concerns, you should get Ufone Super as it not only gives you 1000 on-net minutes to talk to any Ufone, Vfone and PTCL number but also 150 minutes to make the call on other local networks. Other than this you get the benefit of 1000 SMS to all networks and 1000 Mbs of the data network for both 2G and 3G customers. You just have to pay a minimal amount of Rs.520 for the convenience of 30 days. This price includes all daily charges and other taxes. What are validations of Ufone Super card?? The card remains valid for a whole month. Only prepaid customers can avail super card. Voice calls, UAN, shortcodes, NTC numbers are omitted. Dial *706# to check remaining minutes, SMS and Mbs. You can also download Ufone App to check them with validity information. Ufone always satisfies the desires of its clients. If you need to keep in contact with your friends, family and individual ones without stressing about charges and restricted assets you ought to get this card now.